Puppy Paws Inc: Puppy Paws, Paw-shape Jewelry For People Who Love Their Pets. Havahart Wireless: Havahart Wireless: Wireless Dog Fences and other pet owner information is availble. Puppy Palace - Brandon: Puppy Palce Of Brandon In Florida Is All You Need For That Lovely Pet. Teacup Pomeranian Puppies: ~Adorable Top Quality Micro Tiny Tcup Pom Puppies! Country Supply: Country Supply Is Your Source For Everything Equine. Brendon Stud & Saddlery: Horse Riding Wear, Horse Saddle, Horse Riding Equipment In UK. Leather Honey LLC: Leather Honey Prouducts Help Make Leather Last Longer. O2Cats.com: Online Store For Cat Trees, Cat Condos, Cat Beds - FREE Shipping! Bird Cages Now: Retailer Of Strictly The Best Brand Name Bird Cages Available. Blue and Gold Macaw Parrots: Charming Pair Of Blue And Gold Macaw Parrots For Sale. Lllreptile: Largest Selection Of Reptiles & Supplies On The Web! Small Pet Select: Small Pet Select Sells Premium Timothy Hay For Rabbits, Guinea Pigs, And Chinchillas. The Wallyboy Company: The Wallyboy Company Has Products For All Your Household Pets. Coupon Buddy: Find Amazing Deals On Pet Products With Coupon Buddy! Horse, Alpaca & Pet Businesses Ranked By "Likes"
Lllreptile: Largest Selection Of Reptiles & Supplies On The Web!. "Last month I bought an Anaconda at lllreptile, this snake is very beautiful and i see lllreptile has an entire selection of addition breeds ..."
Lllreptile: Largest Selection Of Reptiles & Supplies On The Web!. "Had a lot of fun talking to one of the admin's behind the Pet Wrangler company the other day & simply wanted to say how patient they were in..."
K.C.Diaz Enterprises ARF, Inc.: Master Trainer / Behaviorist / Pet (Dog) Wrangler/ Mentor. "I highly recommend K.C. Diaz Enterprises ARF for your training and behavior needs. Mr. Diaz canine knowledge was far non..."
Petwrangler International: PetWrangler.com: Pet, Horse & Alpaca Business Directory & User Reviews. "I've been aware of this website for some time now and secretively watching its development. 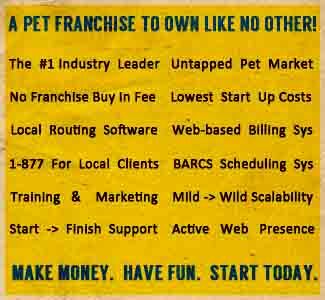 As a pet sitting business owner m..."
Petwrangler International: PetWrangler.com: Pet, Horse & Alpaca Business Directory & User Reviews. "Test Review Test Review Test Review Test Review Test Review Test Review Test Review Test Review..."
There Are No Business Listings Found In This Category. Widen Search Or Select Another Category. Click To Scroll To Listings In This Category Listed Below Or Use These Additional Categories.